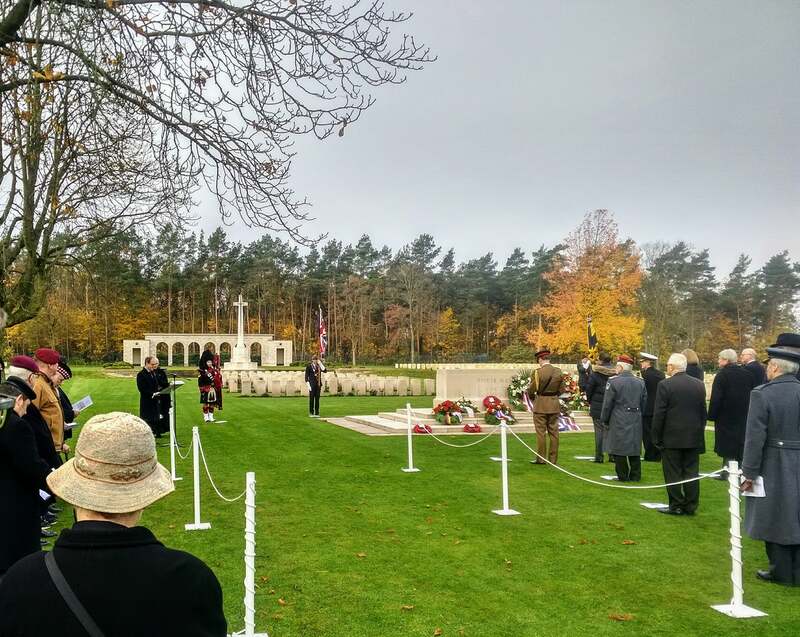 A beautiful Remembrance Dayd 2017 at the Commonwealth War Grave Commission in Berlin, Germany. Over 100 people from all nationalities honouring the fallen. Former enemies now friends and allies — at Berlin 1939–1945 Commonwealth War Graves Commission Cemetery.